DavidScottArmstrong - "Snow-Storm", a late 19th C. reproduction engraving of J.M.W. Turner's 1842 painting of the same name. 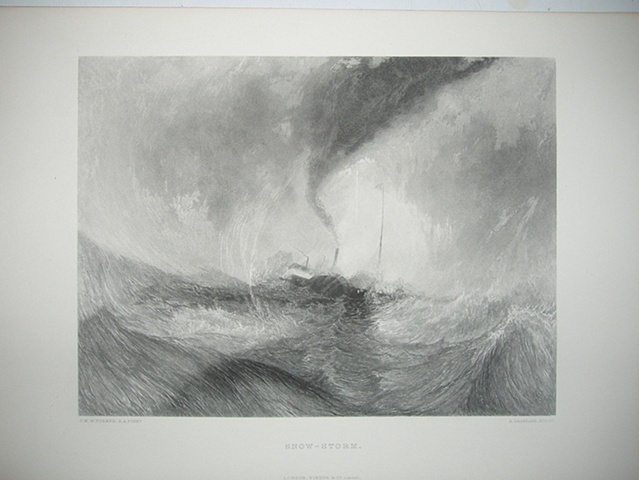 "Snow-Storm", a late 19th C. reproduction engraving of J.M.W. Turner's 1842 painting of the same name.